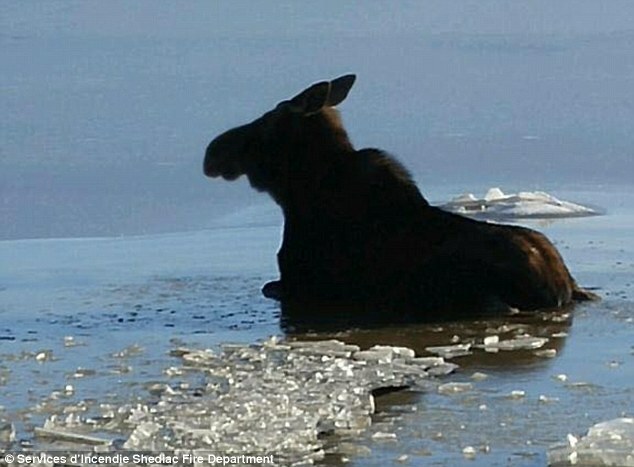 Firefighters rescue a freezing 500lb (225kg) female moose in Canada, using axes to make a path through the ice on Saturday to help it reach the shore. Rescuers spent 90 minutes on the Shediac river in New Brunswick helping the animal which, after an initial fright, calmly watched them work. The animal mounted the bank and ran off. New Brunswick firefighters got out the axes to rescue a freezing 225-kilogram female moose from the ice on the weekend. 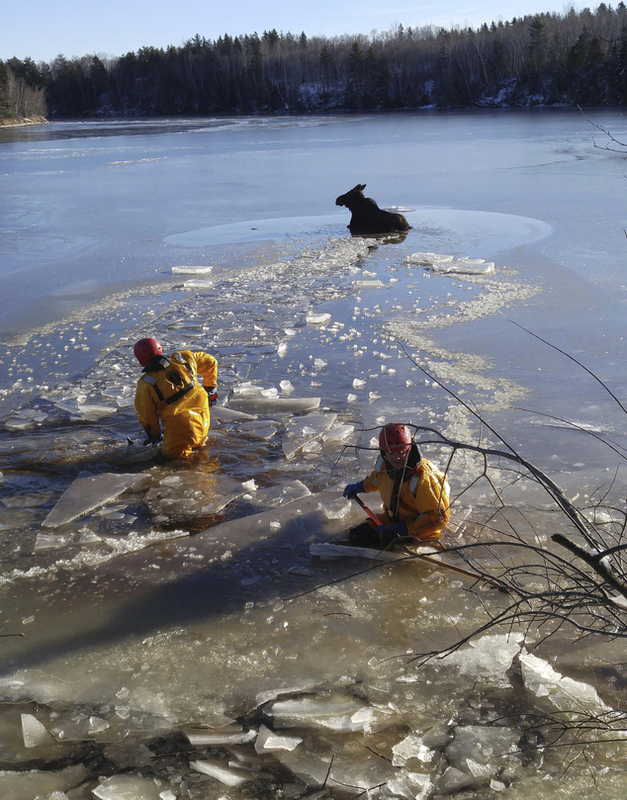 The Shediac fire department got a call at around 8 a.m. Saturday from a homeowner on the Shediac River saying a moose was stuck in ice. Firefighter Jos LeBlanc, who took a video of the rescue, says the moose first appeared agitated by the firefighters but then calmed down and simply watched them work. He says they smashed a path to the shore, but the animal seemed reluctant to mount the riverbank. So they returned to scare the moose, who responded by mounting the bank “like a human,” and quickly ran off. 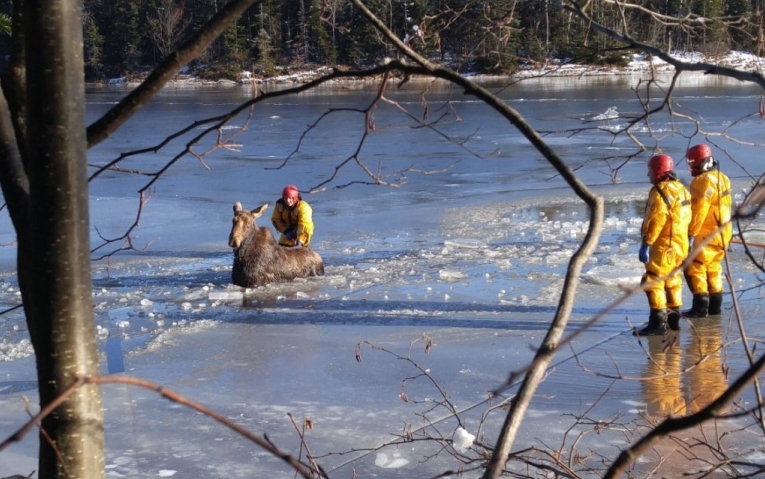 Responses to "Canadian firefighters smash ice to rescue moose from frozen lake"